The Diploma in Sporting Excellence (DiSE), formally the Advanced Apprenticeship in Sporting Excellence is a two year programme that provides a unique sporting qualification designed to meet the needs of young athletes who have the realistic potential to achieve excellence in their sport and are seeking to perform at the highest level. At the end of the programme, students graduate with a Diploma in Sporting Excellence, a L3 qualification which carries UCAS points. Athletes aged 16 to 18 who demonstrate excellence in rowing. It is primarily focused on athletes on the England Talent Pathway or athletes that have been identified through World Class Start or Para-rowing talent ID programmes. Athletes start and complete the Diploma alongside their main study programme (Alevels or BTech). Athletes enrolled onto the DiSE programme are required to prove that they have all the attributes, both in skill and knowledge, to develop their rowing performance and represent the sport in a positive light. The specific weekly timetable for each athlete will be dependent upon which route they entered the scheme through and the time of year. Evidence is submitted by the athlete to demonstrate competence. This can include training diary extracts, food diaries, race plans and reviews, goal reviews and video evidence or professional discussions. To support athletes throughout the two year programme regular progress reviews are scheduled alongside key contact dates. DiSE camps, club visits and online assessments and tutorials all form part of the review process. What happens when you complete the programme? Recent Diploma in Sporting Excellence (formally AASE) graduates include Olympians, World Championship medallists and junior world champions. Jack Beaumont competed at Rio 2016 Olympic Games in the men’s quadruple sculls, finishing fifth and won silver at the 2017 World Championships. Jessica Leyden was the first female single sculler to win a World Rowing Junior Championships gold medal in 2013 in the year she graduated and has gone on to win bronze at the 2017 World Rowing Championships. 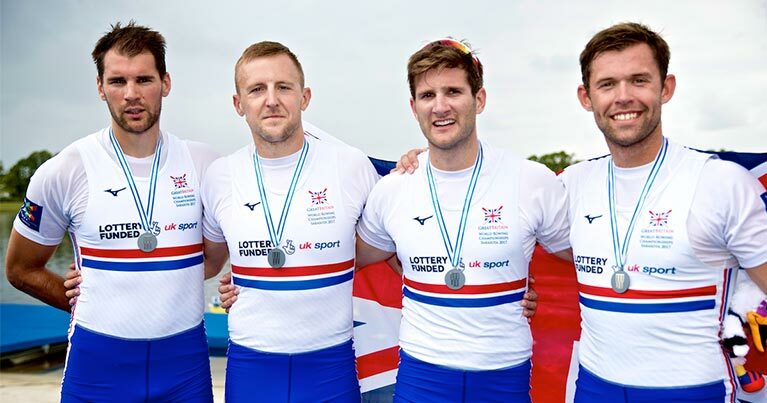 Chris Lawrie was part of the crew who won Great Britain’s first gold medal in the junior men’s quadruple sculls at the World Rowing Junior Championships in 2015, the same year that he graduated from the programme. Current rowers who are working towards their diploma include Sports Aid’s ‘One to Watch’ Holly Dunford, a 2017 junior world champion in the women’s double sculls and Victor Kleshnev, World Rowing Junior Championships silver medallist in the men’s quadruple sculls. British Rowing is responsible for the DiSE programme in rowing, delivering it via suitably qualified Coach Educators. The programme is coordinated by Loretta Williams (Coach Educator, GB Rowing Team). Specialist GB Rowing Team Coach Educators work as a team to deliver and assess the DiSE qualification. They are responsible for helping the athlete work towards the diploma and will work in partnership with the rower’s coaches and support staff to ensure they are supported throughout the delivery of all the elements of the DiSE programme. If you are interested in finding more about the programme and how you can become an DiSE graduate then email Loretta Williams.